Tottenham manager Mauricio Pochettino feels they are "so close" to winning trophies but called for patience as he reiterated his commitment to the club. Spurs' last trophy was the League Cup in 2008 and they have not won a league title since 1961 with Tottenham coming closest under Pochettino in 2017 as they finished as Premier League runners-up. 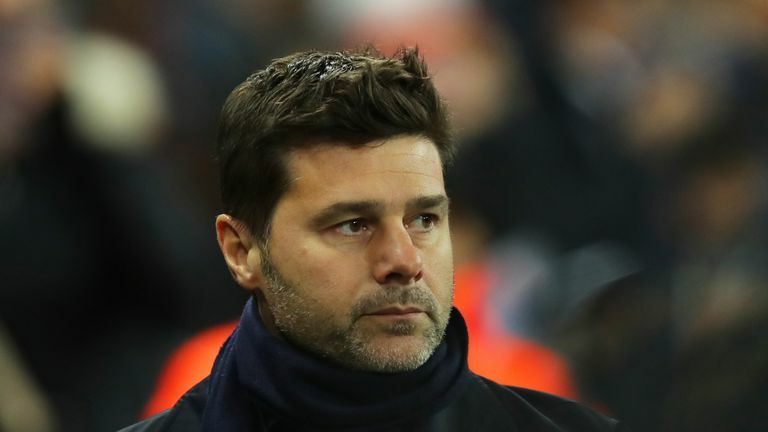 New stadium delays and a lack of transfer business in the summer has increased fears Pochettino could leave the club, with Real Madrid reportedly interested in him taking over from Julen Lopetegui, who was sacked last month. Stream live for a one-off payment of just £7.99. But Pochettino, who signed a new five-year contract at Spurs in May, "wants to feel glory with Tottenham" although he does admit fans will need to patient for trophy success. He said: "When you don't win you are so frustrated. You want to win so do the players, staff and fans. "When you are close you need to try to translate that it's all under control and try to create a good feeling, trying to help that hope that one day we can win. "But sometimes if you don't achieve what you want or that you expect, it's true that it's difficult to keep motivated with the right energy to achieve all you want. "I think the period now for Tottenham is so exciting. When you assess Tottenham, it's in the middle of the journey to arrive in the harbour. "You need time and the reality is we are very close to finishing the new stadium and creating some of the best club facilities in the world. "They all have different costs to pay and sometimes to win titles today it's difficult for different reasons that you and our fans know very well. "But for me it's so exciting to be here at Tottenham helping the club to achieve the last level which we are so close to achieving but we need to have that patience that makes us stronger. "We are finding different situations that you need to fix, a lot of difficult things [have happened] during the journey which need sorting but we are strong enough to sort all the problems and arrive at the end to achieve what the club and fans deserve. "When I arrived at Tottenham the first video that they showed me was 'Tottenham Hotspur, we are talking about the glory'. Yes, I want to feel the glory with Tottenham. "I watched that video from the 1960s and it would be fantastic to deliver it for our fans. "First of all we need to finish the stadium and move there, finish the facilities here, be settled, make our stadium home again and work so hard to try to be competitive. "We work with the responsibility to create a long-term project. "I work like I'm going to be here for all of my career. That is the best thing and that is why sometimes it's difficult to explain our decisions and see the big picture, and a struggle for our fans to see understand why different things happen today. "Me and my coaching staff feel responsible and that is why our commitment is not only in today but the future."